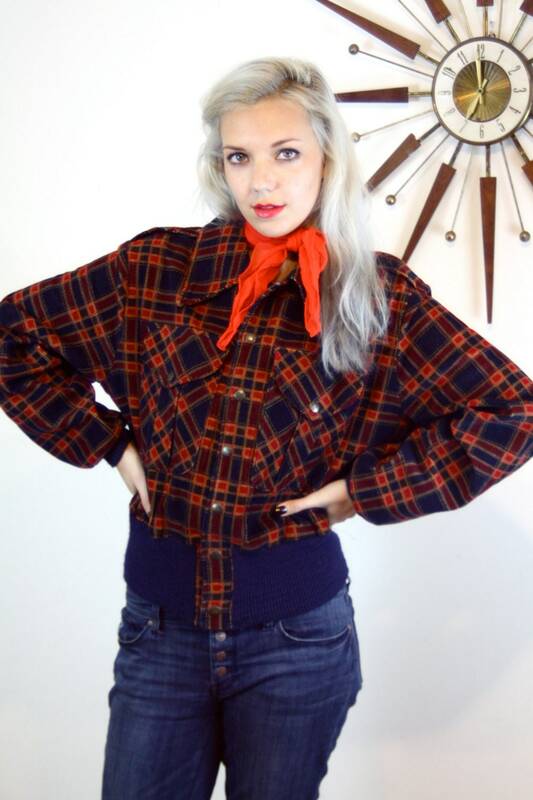 Amazing Vintage plaid oversized puffy bomber jacket! It has ribbing on the cinched, elasticated waist and sleeves. This cute cropped rockabilly jacket has brass snaps up the front and on the oversized pockets! 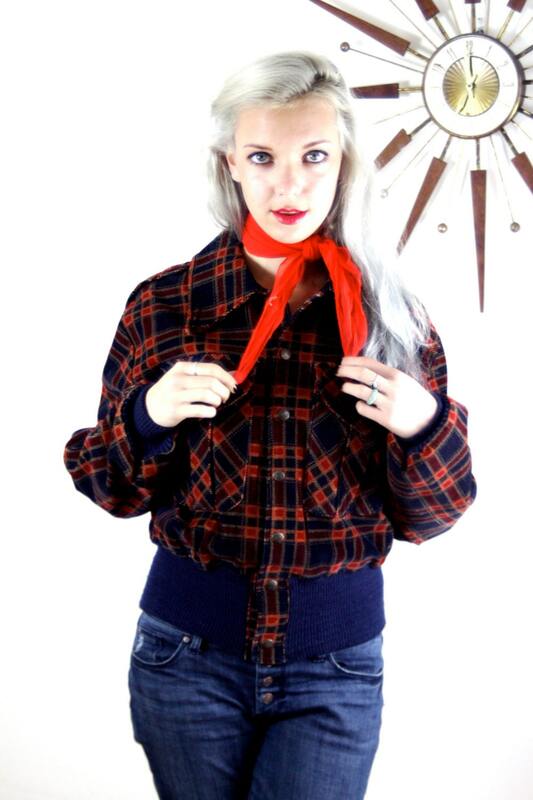 This killer plaid bomber makes the perfect 1950s style boyfriend jacket!